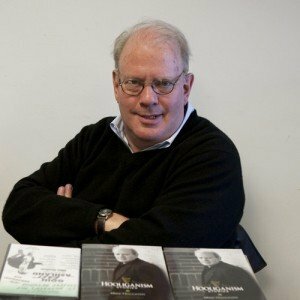 Mike Houlihan is a former features columnist for the Chicago Sun-Times, where he penned the “Houli in ‘da Hood” column from 2002-2005. He has written the “Hooliganism” column in the Irish American News since 1996. He began his career as an actor in 1973 with the American Shakespeare Festival in Stratford Ct., and appeared onstage with regional theatres across the country as well as Off-Broadway, on Broadway, on television and in major motion pictures. While working in New York he met Malachy and Frank McCourt and together they developed A COUPLE OF BLAGUARDS, which Houlihan produced and directed at The Village Gate in New York City in 1984 and subsequently toured all over the world. BLAGUARDS was selected as a special promotional representative for Irish Distillers International and was the genesis of a series of books written by the McCourts including “Angela’s Ashes“, “Tis“, and “A Monk Swimming,” His experience as an actor, director, and producer, paved the way for his career as a playwright. His play GOIN’ EAST ON ASHLAND ran for over six years in Chicago, and his play MICKEY FINN had its world premiere production at the Royal George Theatre. Mike contributed humorous essays to public radio in Chicago on WBEZ-FM for several years and also appears regularly onstage in Chicago as a stand-up comic and character actor. In 2006 he won the Illinois/Chicago Film Office Screenplay competition with his screenplay, “Ballhawk”. Vanguard Cinema has just released the DVD of Mike’s independent feature film, TAPIOCA starring Ben Vereen, Tim Kazurinsky, and several Second City comics. Tapioca premiered at the Park City Film Music Festival in Park City, Utah and played the film festival circuit through 2008, winning Best Feature Film at the Geneva Film Fest. He is the co-host of “The Skinny & Houli Show” with Skinny Sheahan on WCEV Radio, 1450 AM every Saturday afternoon. He is currently working with The Center for Independent Documentary in post-production on his latest film, a documentary, “Our Irish Cousins”, (ouririshcousins.com), just wrapped filming on “So Goes The World”-a documentary on Chicago’s 19th Ward Aldermanic Election, and WTTW Chicago Public Television aired his backstage peek at the St. Patrick’s Day Parade Queen Contest with the documentary, “Her Majesty, ‘da Queen” in February of 2011. For more info go to www.mikehoulihan.com.